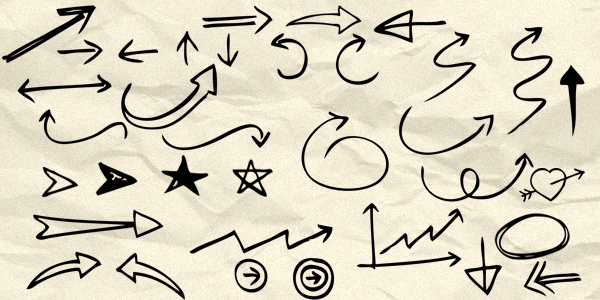 Friends, today’s premium download is a set of 90 hand drawn arrow and symbol Photoshop brushes. These come handy when you want to add call to action arrows or a little creative touch to your designs. Nice set to add to your brushes library! Buy the hand drawn brushes and be creative in your design work. Let me know what you think. Copy and paste the .abr files to Presets Brushes in your Adobe Photoshop folder. Go to Photoshop, click Edit (from the menu) and click Preset Manager. Click “Load” button on the right side of the popup box. Select the .abr file and click “Load” button and then click “Done” button. The brushes are installed.